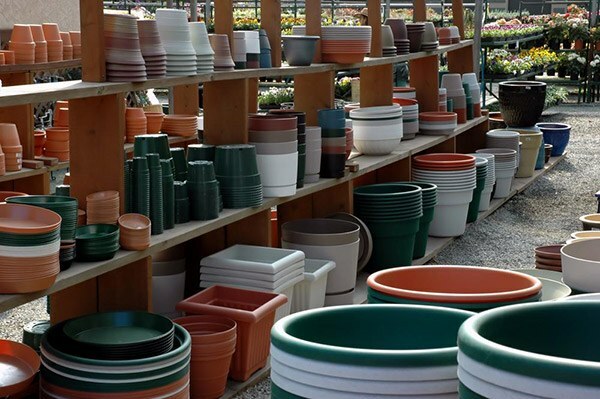 Before you go about finding the best plastic plant pot, you will need to consider just what are your needs and desires are, in terms of what you would like to grow and how big you want them to be. After all, rushing into things and obtaining the first plastic pot that you lay your eyes on might not be the best decision, since you might be dissatisfied afterwards. First things first, you will need to decide on how big you would like your plastic plant pots to be. This will depend on what exactly you would like to grow, whether a mini-tree or a small bouquet of flowers. From large to small, there are various sizes out there in the market, so it is a matter of be practical and finding the right size for your plants to grow comfortably in. If you are still uncertain of what size to get, then a good rule of thumb is to buy larger than smaller, since then you can easily adjust for any plants which overgrow in the container. While you might be accustomed to the cylinder-shaped plastic plant pot, you might be surprised to find out that such pots come in all sorts of shapes that you can use to stylize and otherwise spice up the aesthetics of your garden. There are also cube-shaped pots, as well as vase-like structures for just about any type of plant you would like to grow, so really it comes down to your preferences for all of these possible choices. Even though you are looking into plastic plant pots, not all of them are made from 100-percent plastic. Instead, some are made from a mixture of other items, which can otherwise make it an “impure” material. This is not to say that it is any better or worse for you, but if you insist on 100-percent plastic, then you will have to look carefully at the label to make sure that you are, indeed, getting what you are paying for. Aside from practicalities like size, shape, and plastic ratio, why not consider the aesthetics of your potential plastic plant pot? From bright colors to vivid patterns, having a colorful and nicely-designed plant pot helps to spice up your garden’s growth process and to make it all the more attractive to impress friends, family, and even neighbors. Whatever your tastes are, they should be satisfied with the variety of colors and motifs out there. This comes off as a vague statement, but in essence, it refers to the type of plastic plant pots which can be used to grow just about any plant out there. 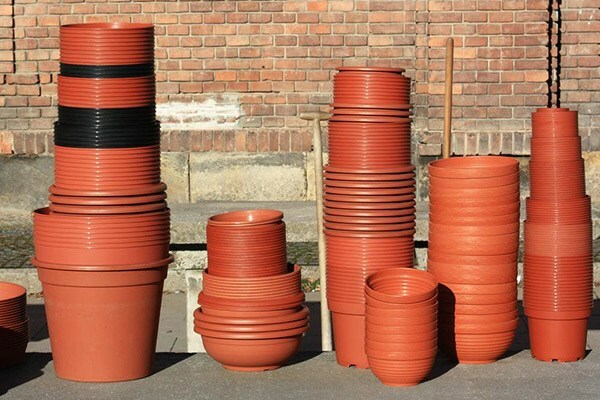 From big to small to thick to narrow, there are so many options for growing that having a single plant pot which can accommodate for all of them is the best way to go. That said, versatility is the key, and you can do so by finding a plastic plant pot which is a standard, neutral size and is made from plastic material which can adapted for good use in just about any situation. By taking the time to look into the best options, you can be sure to find the best one for you. Now, anything that is plastic usually is not that expensive to begin with- after all, it is used in just about any product you can think of, including plant pots. That said, you should not be paying an unreasonable amount for a pot that is merely there to store your plants. While the relative price might vary from person to person, if you find it to be overcharged, then it most likely is. Another option is to scour local gardens and farming communities for any free plastic plant pots. Especially if there is a surplus of them, see if you can inquire about getting some for free. After all, it does not hurt to ask! 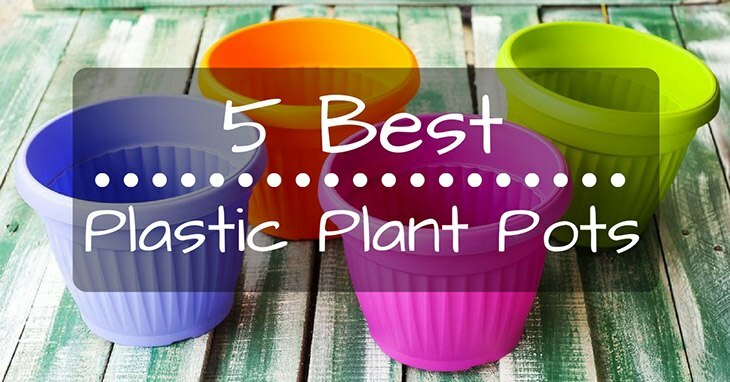 Finally, it all comes down to what you would like to use your plastic plant pots for. 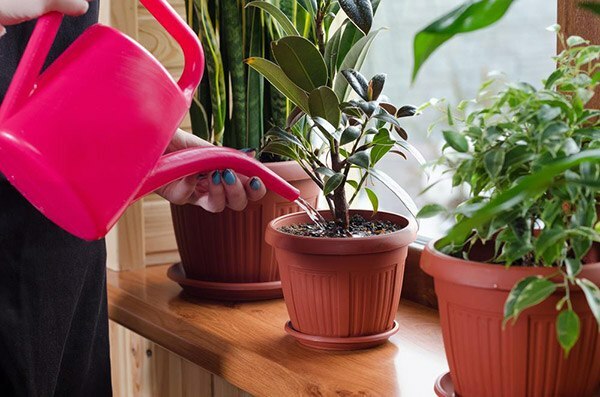 From growing soon-to-be large trees to mini succulent plants, you will need to incorporate all that has been discussed in this section, as means of finding just which type of plastic plant pot you will need for your line of work. Granted, it will not be easy, but it will certainly pay off in the end. 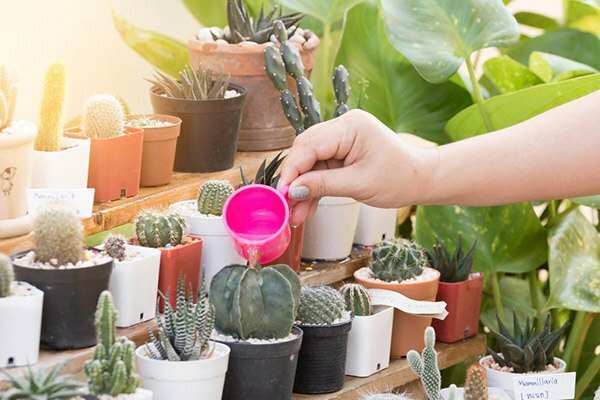 At four inches each and 2.75 inches in height, Teku’s plastic pots for plants come in a whopping 30 pack that is sure to yield you plenty of beautiful, colorful plants all over your garden. Not only that, but they are injection pots, which allow you to inject things like nutrients, water, and other growth materials to further cultivate your seedlings into extraordinary plants. They are especially great for growing azaleas, which can brighten up the atmosphere of your backyard like no other. Comes in a large 30 pack of small pots for a variety of plants to grow. Are injection pots for easily injecting water and nutrients into the soil. Especially good at growing azaleas. Might have too many holes for some to safely pack in the soil. Teku’s plastic pots for plants have so far been quite helpful in growing a variety of flowers for me, including azaleas. I was especially astonished to have seen 30 pots in one pack, but I appreciated it. Granted, it might have too many holes for some to conveniently pack in soil, though. 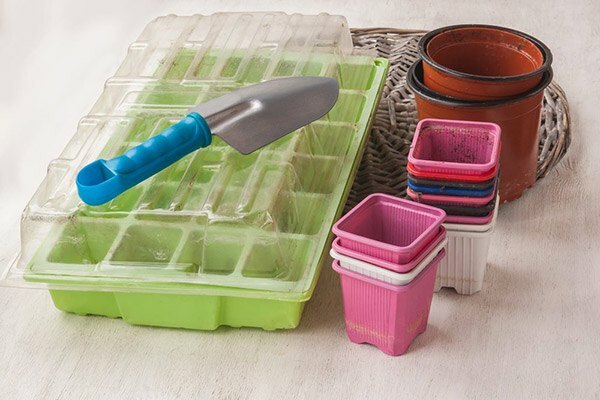 With an impact, modified plastic material, Gro Pro’s nursery pot offers extra strength and durability that is meant to last you a long while in your gardening experience. Not only that, but also it is BPA-Free and it offers a grip lip on its wide rim for easy movement from place to place, so that you are not struggling in the process. Made from an impact, modified plastic material for extra strength and durability. It is BPA-free for improved environmental procedures. Offers a grip lip for easy movement from place to place. Labelled pots end up containing less than what is expected. Gro Pro’s nursery plastic pot was quite nice, considering that its new-and-improved plastic material has made the overall pot stronger and longer-lasting than previously before. The grip lip was a lovely touch, as I could move it all over the garden without any problem. However, my pots which are labelled 5 gallons cannot actually contain 5 gallons of soil, but rather 3 or 4 gallons, which appears to be a knock-off, in my opinion. 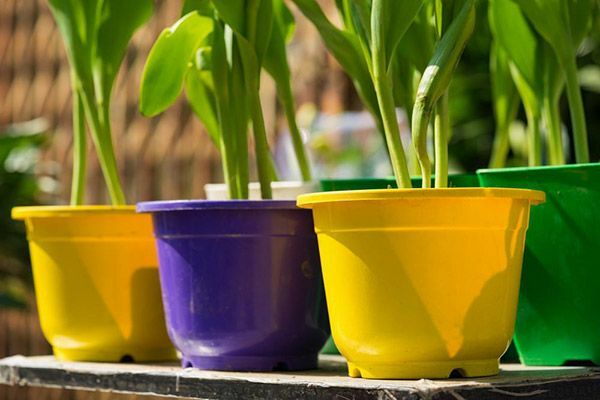 Suitable for small plants, these four-inch plastic pots from Truedays not only come in a generous pack of eight, but also in different colors that are sure to brighten and otherwise spice up your garden’s color palate for a positive gardening experience. Besides that, they have small holes at the bottom of the pots for improved ventilation, so that the plants can grow more efficiently. They are lightweight, durable, and waterproof, able to be placed inside on your office desk or outside next to your porch patio. Come in a variety of colors for a bright, fun experience. Have holes at the bottom for better ventilation. Are waterproof to prevent leaking from going on. Packaging could be improved on. I found Truesdays’ plastic pots to be quite aesthetically pleasing and versatile when it came to growing a bunch of mini-plants that I had been meaning to try out. They were well-ventilated, thanks to the bottom holes, and they were waterproof to keep the contents inside of the pot contained and safe. The packaging was not good at all, having received a third of the eight pots chipped or even broken. Cubed and colorful, Zicome’s plastic plant pots are the ultimate, cute set of plastic pots that you would be eager to get for your home. Not only that, but also they come with saucers to support each mini-pot, so that you could grow and support your plants without any problem. They are reusable, and they can be used to cultivate just about anything that you want to cultivate, whether inside at home or outside in the garden. Are cubed and colorful for a distinctive and aesthetically-pleasing experience. Come with saucers to support the pots themselves. Are reusable for long-term use. Plastic is too translucent, so that you can see soil through it. 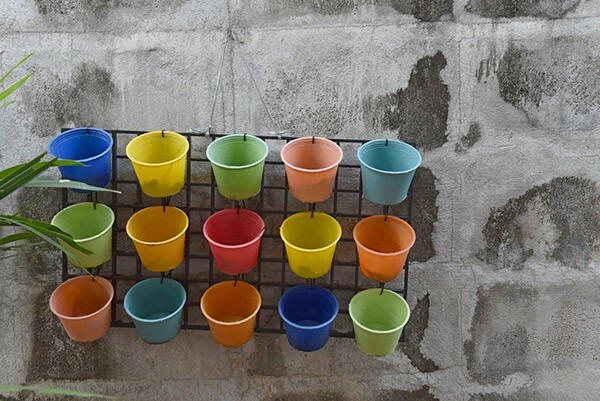 Zicome’s colorful plastic plant pots were a pleasure to look at, let alone use, when it came to growing some equally-colorful plants at home. I liked the saucers which came along with them, and I appreciated its reusability. However, the plastic was too translucent, so I could see the soil through it- a minor detail, but for picky people like me, it makes a difference. Made from high-grade polypropylene (a special type of plastic), th﻿﻿is one from Dillen is great to use for all stages of planting and plant growth, from seedlings to germination to actual cultivation. It is at a standard 4 inches for plastic pots, and it is sure to give you a solid experience of using it. Excellent for all stages of planting and plant growth. Is at a standard 4 inches for plastic pots. Material might seem a bit brittle, which does not guarantee durability. I thought that Dillen’s plastic pots were pretty good, made from high-grade material and able to go through all sorts of plant development over time. However, the material was a bit brittle, which I did not appreciate. Overall, the winner of this roundup goes to Truedays 4" Mini Plastic Flower Seedlings Nursery Pot/Planter/Flower Pot with Pallet 8 Colors, All (#3). Not only does it impress with its large variety of colors and designs, but also its convenience for soil-packing and plant growing. It is worth an investment, should you decide to take it. I like plastic plant pots.